As another installment in our exclusive David Lee Roth Original Masters Series, this limited edition rock masterpiece has been mastered impeccably by Joe Reagoso from the original Warner Bros. tapes at Friday Music Studios. As a special bonus, Diamond Dave is including new artwork, brand new photos, as well as printed lyrics to the great songs that truly enhance this newly mastered compact disc/dvd extravaganza. If you are looking for the perfect hard rock party for your eyes and ears this holiday season, your search is over! DLR staples like Just Like Paradise and Goin’ Crazy! will amazingly jump out of your speakers as you remember them from years ago. Even more fine album tracks like Hot Dog And A Shake, Hey, You Never Know and the stellar blues classic Tobacco Road make this Greatest Hits collection the homerun that it is. 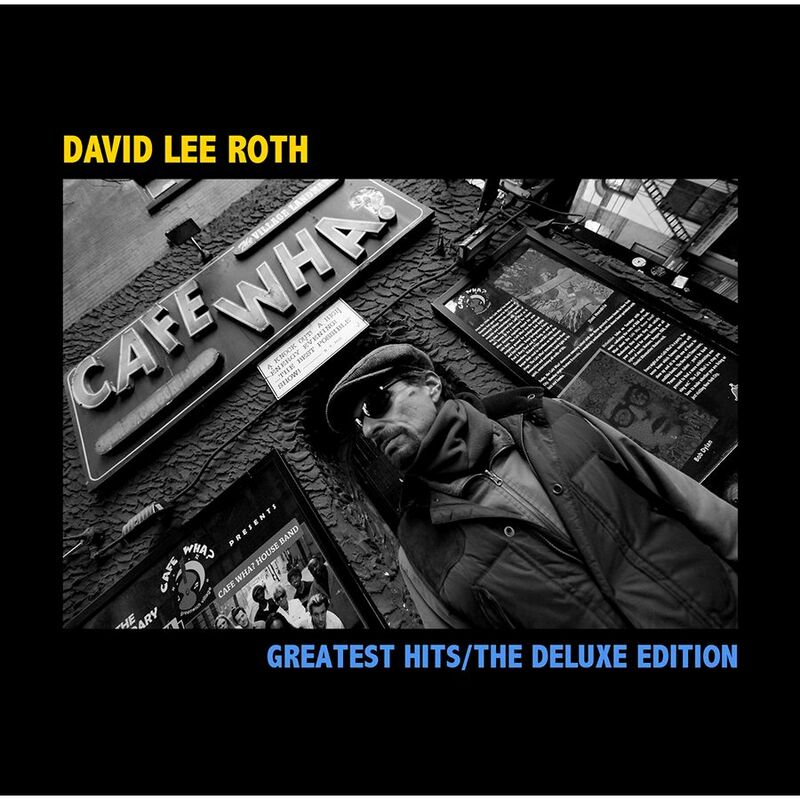 Friday Music is very excited to offer this incredible album from the David Lee Roth arsenal of legendary rock recordings. The fans have been asking for more, and we are more than happy to oblige. David Lee Roth’s Greatest Hits/The Deluxe Edition (CD & DVD)... a great new hard rock revisit in the audiophile domain... courtesy of your friends at Friday Music. 8. "Hot Dog and a Shake"
16. "Just a Gigolo/I Ain't Got Nobody"